Planning to tie the knot with your partner in San Diego? Looking for the best transportation facilities for your wedding venue in San Diego? At Affordable Airport Transportation, we will help you to reach at your wedding with ease and in your style.Although, it’s even must to add room for transportation charges in your wedding budget. From getting in and out of your wedding venue should be attractive and should figure out first. Thanks to the wedding limo service which cater all your wedding transportation needs without crossing your budget. Keeping your preference and budget in mind, we guarantee you to make your big day more special. In this write-up, you will get to know about the benefits of the wedding car rentals near me in the proper and clear way. First Priority Safety: With a limo service, you are under the complete safety surveillance where you will be transported to and from your wedding destination with utmost safety. 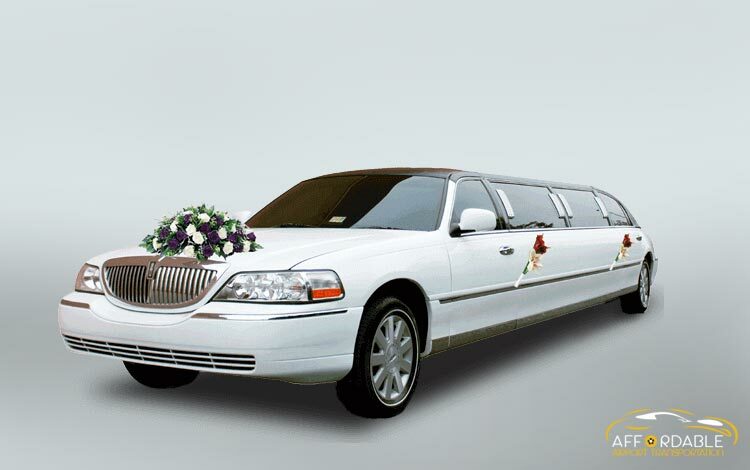 Spacious: Unlike, the traditional wedding vehicles you will find wedding limo service quite more spacious. It’s even best for those who are planning for the huge and extravagant wedding. This is done to get your entire bridesmaids or groomsmen fit in one vehicle and even give you the time to unwind and relax before the wedding party. Keeps the party on: The wedding limo service will keep your party going even after and before the party. In the wedding limo vehicles, you will find the music, television and alcoholic beverages and many more to keep your party going on all its way to the wedding venue or home. Stylish: Wedding is a lifetime special event in everyone’s life where you have to keep in mind about the image and happiness as well. Arriving in Limo at your wedding destination will leave the good impression and makes your big day more special. Above we discuss the limo service and its role in your big day for making it a special and memorable too. Here, you will get the best and highest quality services with the utmost satisfaction. Thinking of these advantages in mind you should hire for the wedding limo service for your big day. Get the best services of the wedding transportation in your nearby at the competitive and affordable price. So, just browse the wedding limo service near me and get the best ever experience of transportation services with agencies like Affordable Airport Transportation for collecting your beautiful and lifetime moment. Through our well-trained, professional chauffeurs, stylish vehicle models, comfortable seats we assure you the highest and comfortable level of style in your wedding in San Diego.